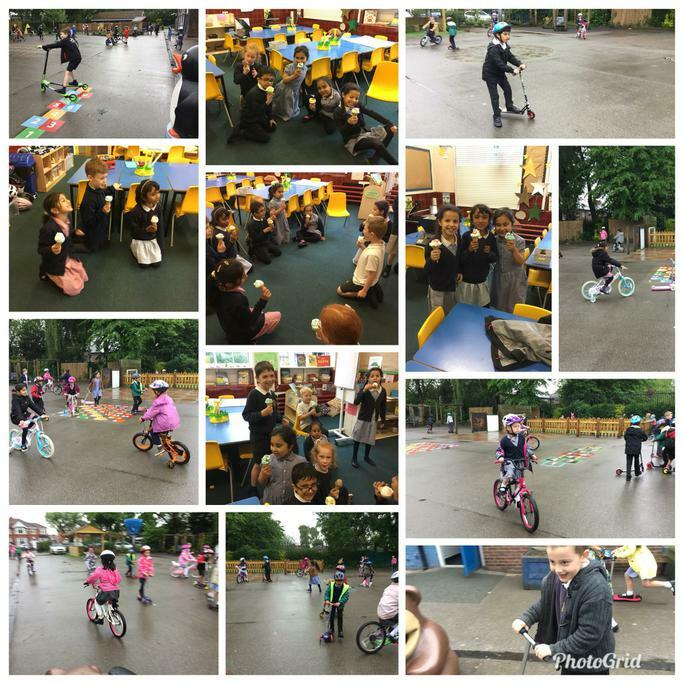 we've worked so hard this half term so to relax we had a fun afternoon with ice cream and a bike and a scoot. Shame about the rain but that didn’t stop us. We carried on with our art work this week. 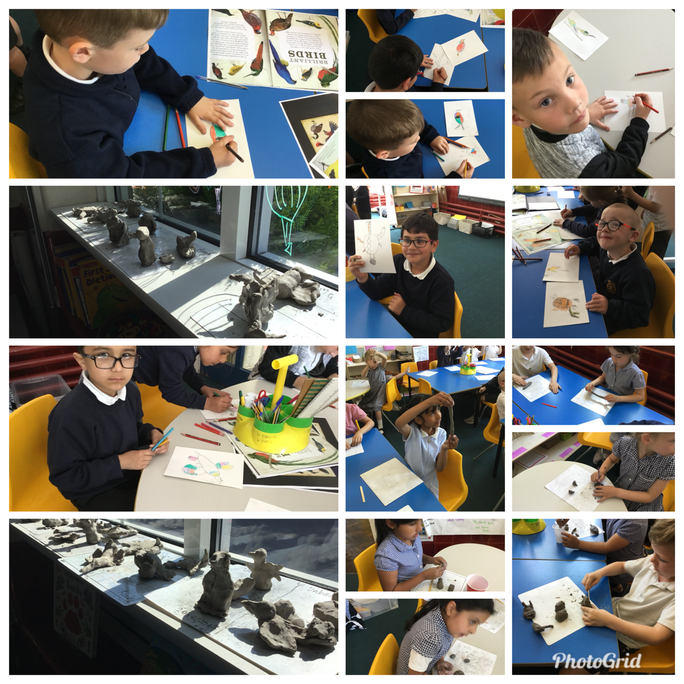 After creating some amazing pictures in the style of Niki de St Phalle we used those pictures to creat a sculpture out of clay. We are looking forward to painting them. Fingers crossed the clay dries soon. We joined in the wedding celebrations and had our own party. 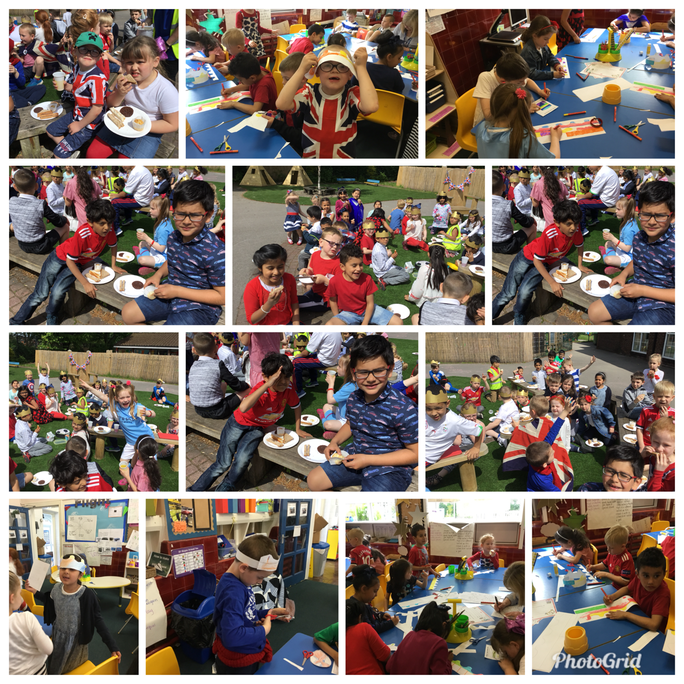 We all enjoyed having a picnic outside and a fun filled afternoon creating our own crowns. This week we have been learning about the artist Niki de Saint Phalle. She was a sculpture and created fantastic statues full of colour. We had a great discussion about her art and whether we liked it or not. Then we tried to draw like her. 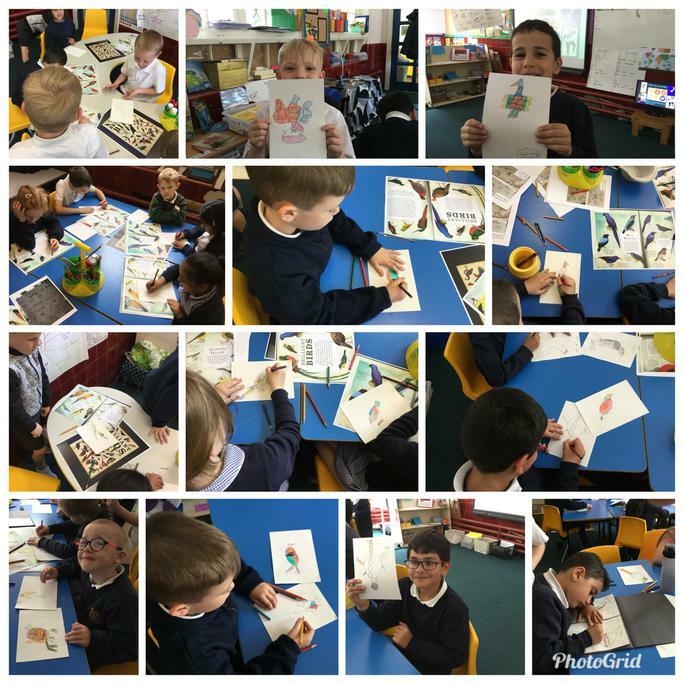 We started off by learning skills to draw birds then on our second drawing we changed them. 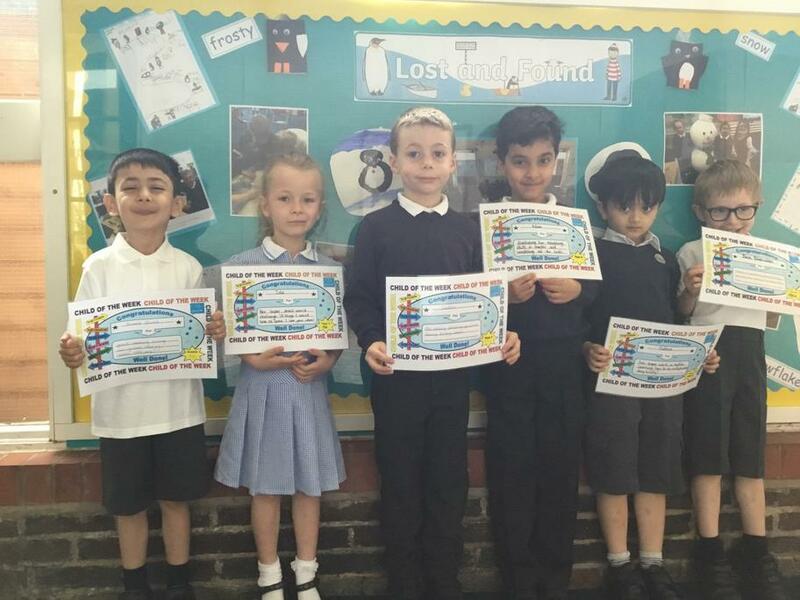 Well done to all our fantastic learners. Usain Bolt can run 100m in just under 10 seconds so we wanted to find out how far we could run in 5 seconds. 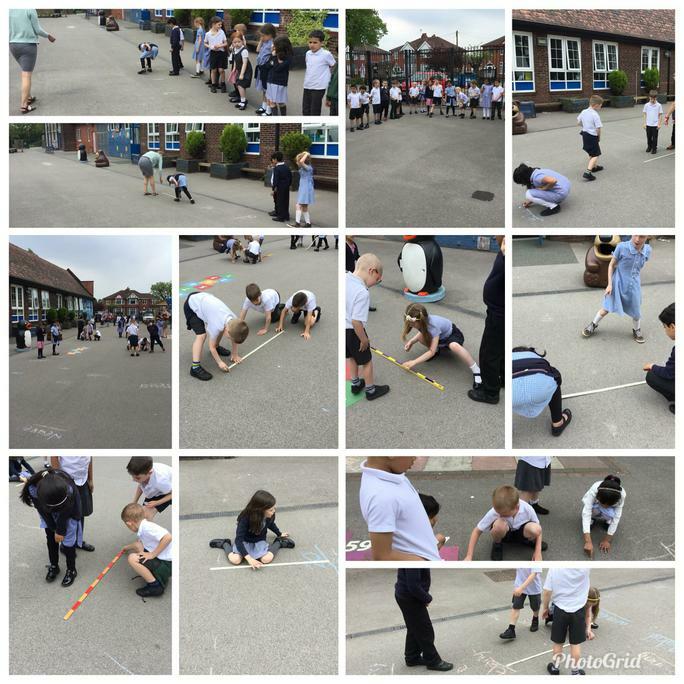 We used our measuring skills to measure the length. Dead, alive or never been alive? That is the question and we have been answering it in our science lesson. Did you know soil is alive? Not to boast, but we are pretty good at gymnastics now. 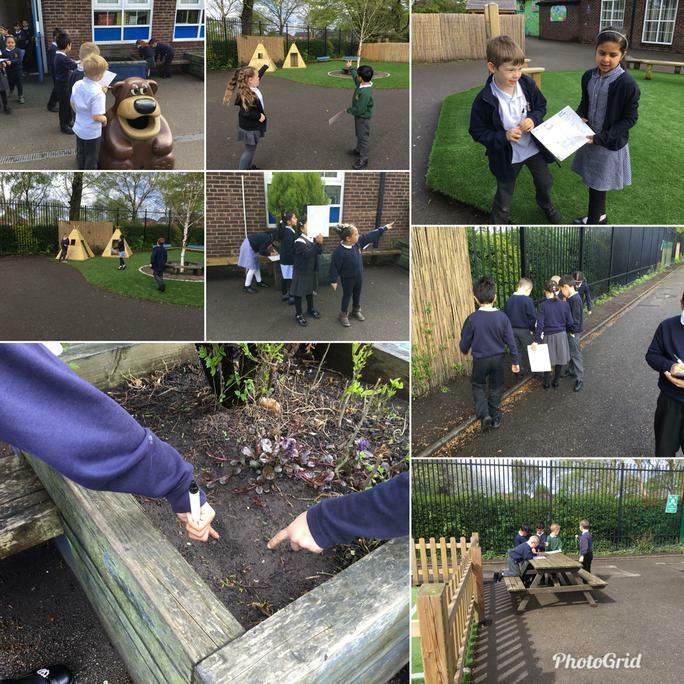 This week we've been practising our balancing skills with a partner. Wednesday was Refugee day. 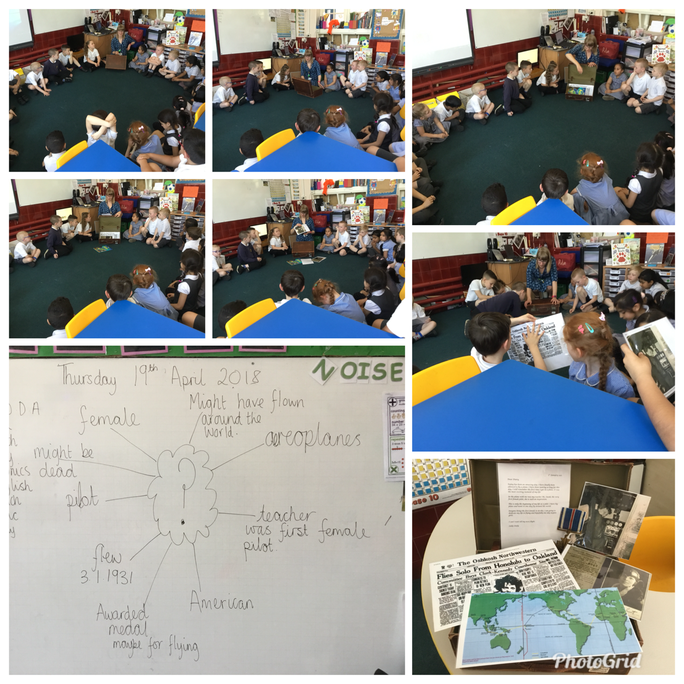 We spent the afternoon learning about refugees and how we can help them. We have been learning about fractions this week. Today we learnt about a fractions wall. 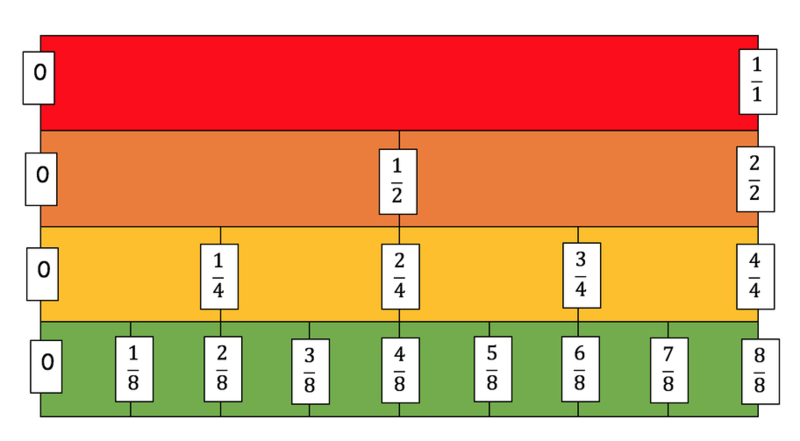 Can you find the equivalent fractions? 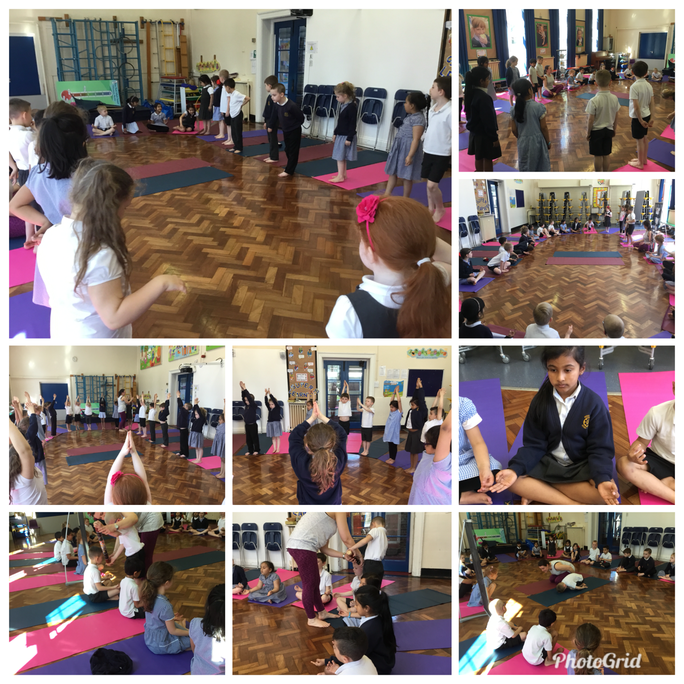 What an amazing well-being Friday we had! 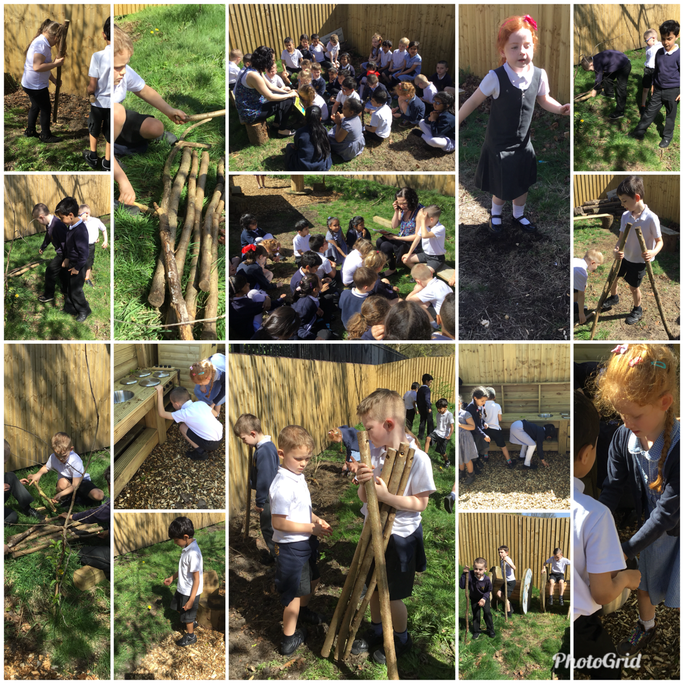 First we explored the new forest school area. 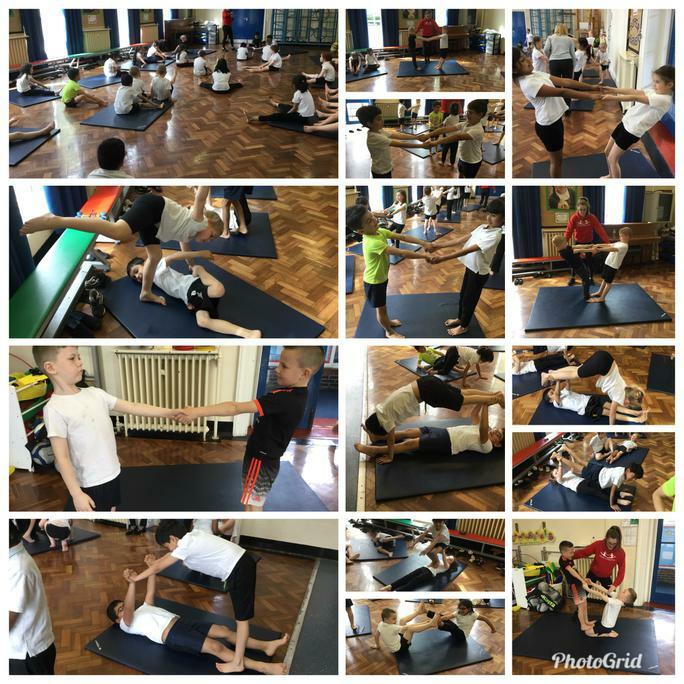 Then we had our first yoga lesson with Mrs Harrison. We definitely deserved it after working so hard all week. 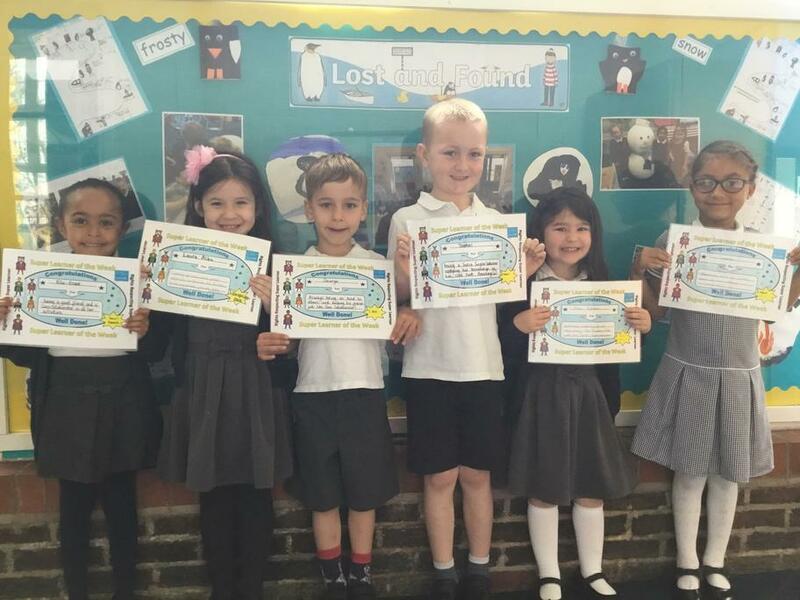 Well done our fantastic certificate receivers. You have worked so hard and really deserve them. 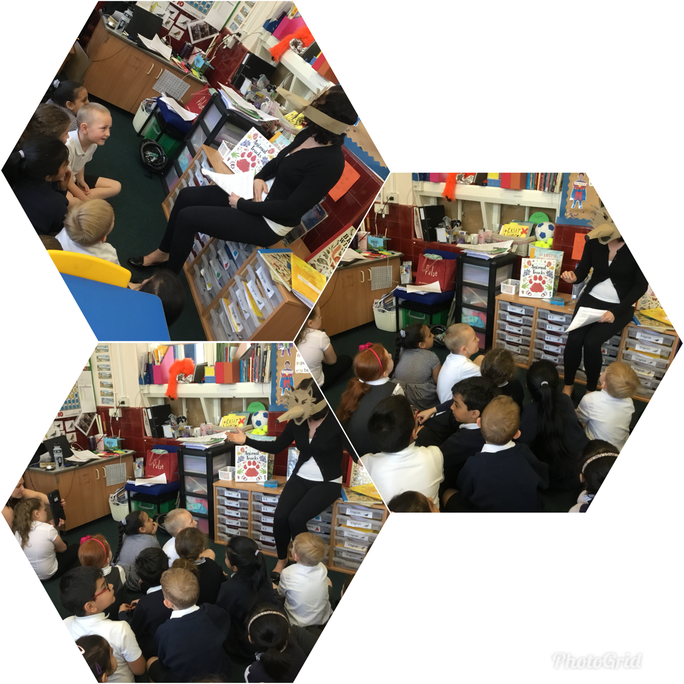 This week, in our topic lesson Miss Godfrey brought in a old suitcase she found while on holiday. We used our detective skills to infer who it might belong to. The suitcase contained lots of artefacts that we used to help us. 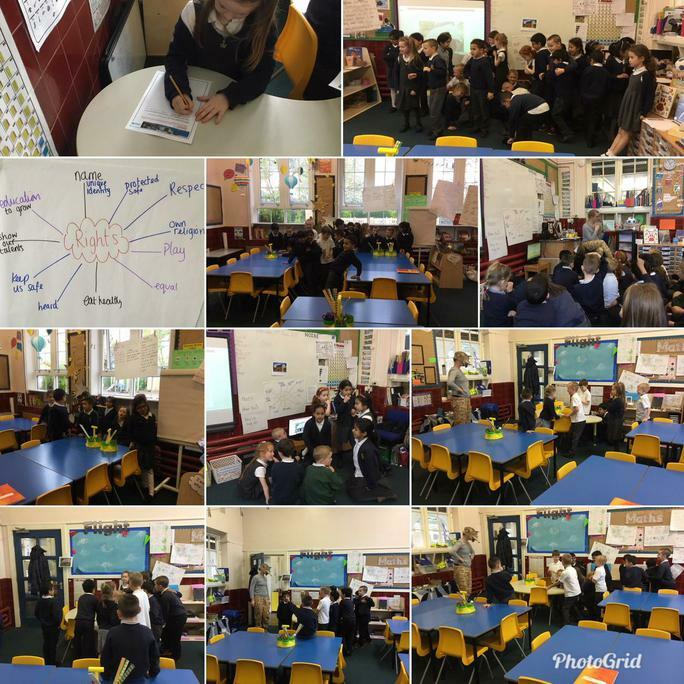 What an amazing first week we've had. So much has happened. 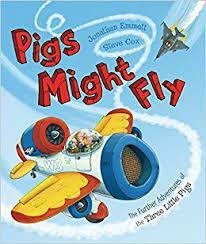 Excitingly, we have started our new text 'Pig's might fly'. Again, the wolf is the big, bad villain...well that's what we thought! But we had a visit from Alganon (formally know as the big bad wolf) and we've changed our minds. Ever wanted to fly an aeroplane high up in the sky? Here is a short film of what a pilot sees. 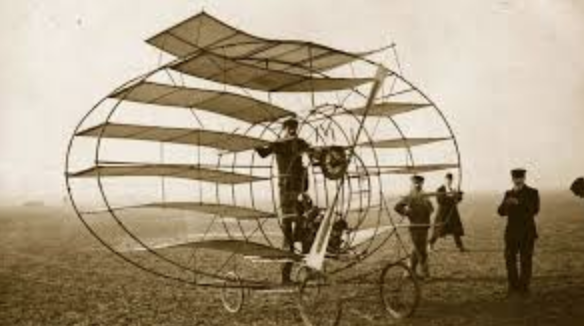 Imagine life before aeroplanes, hot air balloons, gliders, helicopters. But imagine having a dream to fly like a bird. 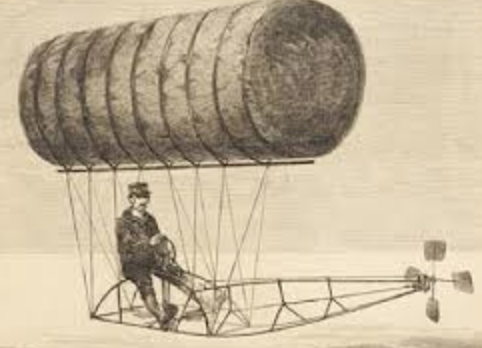 Would you be able to invent a machine that could take you into the sky? 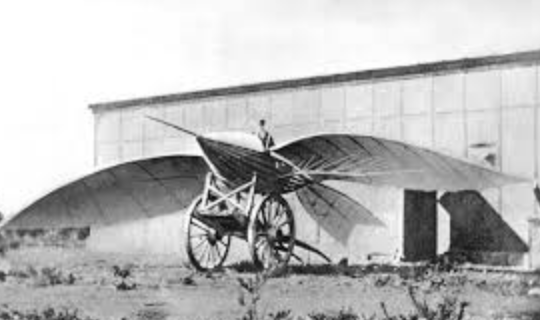 Here are some very first flying inventions. Could you imagine going on holiday in one of these? 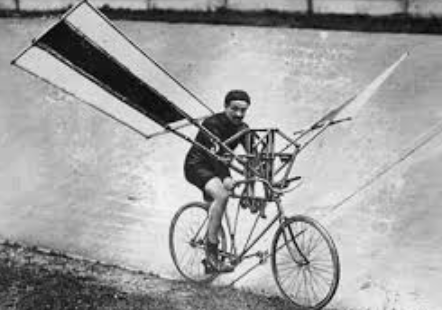 Maybe you could design a better invention?